Support the conservation of bird populations and habitats. Welcome all birders - young and old, beginners, backyard enthusiasts, tourists, conservationists and professional ornithologists. Inspire members and others to share the joy of birding. Seek to strengthen the state’s birding community. Encourage and support young birders. Communicate effectively with members, birders and the general public regarding birds and birders. 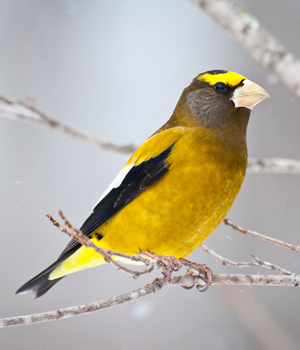 Support the study of birds by professional and citizen scientists. Recognize the invaluable contributions of our volunteers. Commit to preserving our rich history. Commit to the stewardship of our Harold and Carla Kruse Nature Preserve at Honey Creek and our other properties. Give public voice to important birder concerns. The Wisconsin Society for Ornithology is a 501(c)(3) nonprofit organization. Our Federal Tax ID number is 39-6040605. If you are interested in supporting our efforts by making a monetary donation, please contact us at treasurer@wsobirds.org.